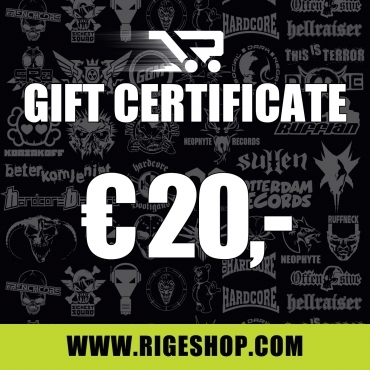 - This Gift Certificate of 20,- can be used to purchase all available items on http://www.rigeshop.com (except other gift certificates). - Every Gift Certificate has an unique claim code. - A Gift Certificate is valid till 12 months after their date of purchage.